Messianic Prophecy Pointing to Y’shua that is sometimes not recognized. Micah 4:8. And you, Tower of the Flock, the stronghold of the daughter of Zion, it will come to you, even the first dominion. The king­dom will come to the daughter of Jerusalem. 9. Now why do you cry out loud? Is there no king for you? Has your counsellor perished? For pangs have taken you as a woman in travail. 10. Be in pain and labor to bring forth, O daughter of Zion, like a woman in travail, for now you will go forth out of the city and you will dwell in the field and you will go even to Babylon. There you will be delivered. There the LORD* will re­deem you from the hand of your enemies. 11. Now also many nations have gathered against you, who say, Let her be defiled and let our eye look upon Zion. 12. But they do not know the thoughts of the LORD*, nor do they understand His counsel, for He will gather them on the floor like the sheaves. Tower of the Flock, Migdal Eder in Hebrew, refers to the Tower in Bethlehem where the Lambs were cared for that were to become the Lambs offered in the Temple. Those keeping the flocks were Levites who had the responsibility to protect each Lamb from becoming defiled. Miriam went into labor and delivered Messiah in the cave-barn where many sacrificial lambs had stayed. The Migdal Eder is named in Genesis 35:21 and was a place that offered shelter to the Shepherds as well as being a watchtower to observe the sheep. In Genesis these were ordinary sheep since this was long before the Temple sacrifice required faultless sheep. 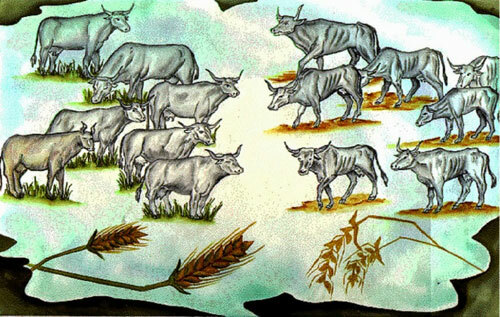 For the first Passover either a Lamb or young Goat was demanded, with Exodus 29 describing the sanctification of the priests being the first time Lambs were required. Micah 5.1. But you, Bethlehem Ephratah, though you are little among the thousands of Judah, yet out of you One will come forth to Me Who is to be Ruler in Israel, (Matt. 2:5,6) Whose goings forth are from of old, from everlasting. 2. Therefore He will give them up until the time that she who travails has brought forth, then the remnant of His brothers will return to the children of Israel. 3. And He will stand and feed in the strength of the LORD*, in the majesty of the name of the LORD* His God, and they will stay, for now He will be great to the ends of the earth. Bethlehem Ephrata was a small city as fitting the description, “little among the thousands of Judah” with its gate being just a door, not the wide gate that most cities had. Bethlehem was the location of the Migdal Eder, the Tower of the Flock, the place where the Lamb of God was to be born. Y’shua was born in one of the caves where the lambs for Temple sacrifice were kept when not on pasture. Isaiah 60:4. Lift up your eyes all around and see: they all gather themselves together, they come to you. Your sons will come from afar and your daughters will be trained at your side. 5. Then you will see and be brightened up, and your heart will tremble with joy and be enlarged, because the abundance of the sea will be converted for you, the wealth of nations will come to you. The Shepherds keeping watch over the Flocks (Luke 2:8-20) were Levites who were responsible to care for the sacrificial Lambs to make sure the Lambs were ritually pure. The Shepherds were spoken to by the Angel, then led by the Angelic Hosts to the cave where they were able to see their Messiah. The Angelic Host was an Army that had come to accompany the Shepherds to Worship and Praise the One Who has just been born! Isaiah 60:6. The multitude of Camels will cover you, the Dromedaries of Midian and Ephah. All those from Sheba will come. They will bring gold and incense and they will Herald the Praises of the LORD*. 7. All the flocks of Kedar will be gathered together to you, the rams of Nebaioth will minister to you. They will come up with acceptance on My altar, and I shall glorify the House of My glory. Isaiah prophesies about the Sorcerers who brought the Gold, Frankincense, and Myrrh to the toddler Y’shua, close to His second birthday. The Hebrew word translated Incense is L’vonah, referring specifically to Frankincense but L’vonah can also be translated in the general sense of any Spice, so Myrrh is also prophesied. Matthew 2:7. Then Herod, having secretly called the Astrologers, ascertained from them the time of the revealing of the star, 8. and sending them into Bethlehem he said, “When you go you must inquire carefully concerning the Child: as soon as you would find Him, you must report to me right away, then when I come I shall pay homage to Him.” 9. And those who heard the king went. And lo! The star, which they saw in the east, led them forth, until it came and stood over where the child was. 10. And when they saw the star they rejoiced with extremely great joy. 11. Then when they came into the House they saw the child with Miriam His mother, and having fallen to their knees they paid homage to Him, then, having opened their treasure boxes, they brought gifts to Him, Gold and Frankincense and Myrrh. 12. And since they had been warned in a dream not to return to Herod, they returned to their country by another way. The Astrologers were fortune tellers, occult mediums, the equivalent of present day witch doctors, not people to be revered. Y’shua is called a child, not an infant. 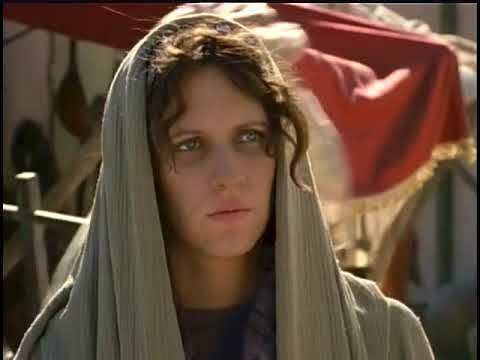 This is quite some time after His birth, probably close to two years, with Joseph and Miriam living in a House (verse 11) when Herod sent to have all the boys two years old and younger killed. Micah and Isaiah tell of the Shepherds of the Priestly flocks that were kept just outside Bethlehem for Temple sacrifices while the Lamb of God was being born in one of the cave-barns of the Lambs. Isaiah brings in the Sorcerers who brought the Gold, Frankincense and Myrrh on Camels about two years after the birth of Y’shua. David was barely a teenager when he fought Goliath is a Myth, although he is shown in many illustrations as very young. That comes from the Latin text which calls David a child, a miss-translation of the Hebrew, which calls him a young man. David was at least twenty-seven, maybe twenty-eight when he fought Goliath. The key to David’s age the two years for Saul’s reign and seven and a half years for David as king over Judah while he was in Hebron. David was thirty when he began his reign in Hebron, which came immediately after Saul’s two year reign. See 1 Samuel 13:1. Anointing Breaks the Yoke is a Myth. The literal translation is: Isaiah 10:27. And it will be in that day, his burden will be taken away from off your shoulder, and his yoke from off your neck, and the yoke will be destroyed because of your robustness. There is not a word in this verse that means Anointing. The Hebrew word Shamen is related to the word Shemen which means olive oil, but Shamen when it does not refer to people means fat or fatness. When Shamen refers to people it speaks of someone like a pro football guard or tackle, very big and very strong. Think of yourself as that awesome against the burden or yoke you are fighting. These next three verses show how fearsome an enemy you can destroy. Judges 3:29. And they slew of Moab at that time about ten thousand men, every one robust and every one courageous, and not a man escaped. Ezekiel 34:16. I shall seek that which was lost and bring back that which was driven away and will bind up that which was broken and will strengthen that which was sick, but I will destroy the robust and the strong. I will feed them with judgment. Psalm 78: 29. So they ate and were well filled, for He gave them their desire. 30. They were not estranged from their lust, but while their meat was still in their mouths, 31. the wrath of God came upon them and slew the most robust of them and struck down the chosen men of Israel. All these translated Robust are the Hebrew word Shamen. Isaiah says the burden will be taken from our shoulders and the yoke on our neck will be destroyed because of our strength, because we are to be spiritually strong. Our strength comes from faith, the knowledge, the certainty that God is in us and nothing is too hard for Him. 1 Thessalonians 5:19. You must habitually not ever quench the Spirit, 20. you must continually not ever despise prophecy, 21. but you must constantly prove all things; you must incessantly hold fast the good, 22. you must faithfully keep yourselves away from every form of evil. Keeping away from every form of evil is very different from abstaining from the appearance of evil. Abstaining from the appearance of evil has two meanings: One is to not do anything that might even appear to be evil, even if it is innocent and permitted; the other is that you can do something evil as long as it does not appear to be evil. Keeping away from every form of evil means to be above reproach in whatever you would do or say. Hellenists Complained about the Hebrews: The word in Greek for Greek people is Hellenists, the word used in Acts 6:1. The NIV Study Bible says the Grecian Jews were those “born in lands other than Palestine who spoke the Greek language and were more Grecian than Hebraic in their attitudes and outlook.” The ones called Grecians were not born outside Israel. Those properly called Hellenists were born and brought up in Judea in families that had become more Greek than Jewish because they were backslidden Jews who loved the Greek culture, spoke Greek, attended the theater, the gym, and the games. It is disgraceful that the NIV editors referred to the country known as Judea at the time the Book of Acts was written, calling Judea Palestine, about eighty years before Emperor Hadrian named it Palestine. That shows the ignorance and prejudice of some of our scholars. See Hellenists in Glossary. The Amplified did very well until they added native showing that the translators of the Amplified were like those who translated the NIV and did not know about the divisions of first century Israel. The Hellenists were native Israelis who loved the Greek lifestyle and were marginal Jews. They were Sadducees and included the most influential members of Israeli society, even the High Priests. The Jewish Roots of Christianity are very real. The deacons chosen in answer to the problem of service to the Hellenists were all Hellenists with Greek names. Encouraging Word from the LORD* for all of us, knowing that God does not change, he is still doing this today! Exodus 23:20. “Behold, I AM sending an angel before you, to keep you in the Way, and to bring you into the which I have prepared. 21. Beware of him and obey his voice. Do not provoke him! For he will not pardon your transgressions, for My name is in him. 22. But if you will indeed obey his voice and do all that I speak, then I shall be an enemy to your enemies and an adver­sary to your adversaries. 23. For My angel will go before you, and bring you in to the Amorite, the Hittite, the Perizzite, the Canaanite, the Hivite, and the Jebusite, and I will cut them off. 24. You will not bow down to their gods, serve them, or do after their works, but you will utterly overthrow them and absolutely destroy their images. As you have new or additional assignments, you can be sure that the LORD* will send His angel before you to keep you in all your ways. Psalm 91:9. Because you have made the LORD*, Who is my refuge, the Most High, your habitation, 10. there will no evil befall you, neither will any plague come near your dwelling. 11. For He will give His angels charge over you, to keep you in all your Ways. 12. They will bear you up in the palms of their hands, lest you dash your foot against a stone. Many translations translate this use of the Hebrew word Hakhol as Temple, but there is no Throne in the Temple because God sits between the cherubim on the lid of the Ark. That is in the Holy of Holies, which is a small room that only the High Priest can enter and he can only enter on the Day of Atonement. To see the LORD* on His Throne, high a lifted up, He could not be in the Holy of Holies. In Isaiah, The LORD* is sitting on His Throne; nowhere He is to be seen when He is on the Ark. He is wearing His robes, with a train that fills the palace. The word translated both Palace and Temple is Hakhol. Hakhol is used seventy-seven times, translated nine times in the KJV as palace for various kings, so Palace is not uncommon. Ezekiel 43:4. And the Glory of the LORD* came into the House by the way of the gate that faces the east. 5. So the spirit took me up and brought me into the inner court and, behold, the Glory of the LORD* filled the House. 6. And I heard Him speaking to me out of the House and a Man stood by me. 7. And He said to me, Son of man, the place of My throne and the place of the soles of My feet, is where I and My holy name will dwell in the midst of the children of Israel forever. The House of Israel will no longer defile, they or their kings, by their harlotry or by the carcasses of their kings in their high places. The LORD* has a throne, which has to be outside the Holy Place, with many verses speaking of His Throne. Zechariah 6:9. And the word of the LORD* came to me saying, 10. Take of those of the captivity, even of the line­age of Heldai, of Tobiah, and of Jedaiah, who have come from Babylon and you come the same day and go into the house of Josiah the son of Zephaniah. 11. Then take silver and gold and make crowns and set them on the head of Joshua the son of Jehozadak, the high priest 12. and speak to him, saying, Thus says the LORD* of Hosts say­ing, Behold the Man whose name is The Sprout, and He will grow up out of His place and He will build the Palace of the LORD* 13. Even He will build the Palace of the LORD* and He will bear the glory and will sit and rule upon His throne and He will be a priest upon His throne and the counsel of Shalom will be between them both. 14. And the crowns will be for Helem, for Tobiah, for Jedaiah and for Hen the son of Zephaniah, for a memorial in the Palace of the LORD*. 15. And those who are far off will come and build in the Palace of the LORD* and you will know that the LORD* of Hosts has sent me to you. And this will be, if you will diligently obey the voice of the LORD* your God. This passage has dual meaning, in the natural it is instruction for the rebuilding of the Temple, but the spiritual is for the Palace of the LORD*, which is to be built by the Sprout, Who is Y’shua. There is no Throne for the High Priest, so the only Throne will be for the King. Y’shua and the Father are One, so the Crown is for the LORD*, the King, the Priest upon His Throne. Psalm 9:2. I shall praise the LORD* with my whole heart. I shall tell of all Your marvellous works. I shall be glad and rejoice in You. I shall sing praise to Your name, O Most High. When my enemies are turned back, they will fall and perish at Your presence. For You have maintained my right and my cause. You sat on the throne judging right. You have rebuked the nations, You have destroyed the wicked, You have put out their name forever and ever. O you enemy, destructions are coming to an end forever, and the cities which you have de­stroyed, their memorial has per­ished with them. But the LORD* will endure forever. He has prepared His throne for judgment. And He will judge the world in righteousness, He will min­ister judgment to the people in uprightness. Psalm 11:4. The LORD* is in His holy Temple (Hakhal), the LORD’s* throne is in heaven. His eyes watch, His eyelids try the children of men. In Psalm 11:4 He is in His Holy Palace! Psalm 89:15. Righteousness and justice are the foundation of Your throne: loving kindness and truth will go before Your presence. Psalm 93:1. The LORD* reigns! He is clothed with majesty! The LORD* is clothed with strength, with which He has girded Himself! The world also is established, so it cannot be moved. Your throne is established of old: You are from everlasting. The rivers have lifted up, LORD*, the rivers have lifted up their voice; the rivers lift up their waves. The LORD* on high is mightier than the sounds of many waters, yea, than the mighty waves of the sea. Your testimonies are very sure. Holiness becomes Your House, LORD*, forever. Psalm 103:18. To such as keep His covenant and to those who remember to do His commandments 19. the LORD* has established His throne in the heavens, and His kingdom rules over all. 2 Chronicles 18:18. Again he said, Therefore listen to the word of the LORD*! I saw the LORD* sitting upon His throne and all the host of heaven standing on His right hand and His left. (Rev. 4:2,9; 7:10; 18:18) 19. And the LORD* said, Who will entice Ahab king of Israel, so he will go up and fall at Ramoth-Gilead? And one spoke saying after this manner and another saying after that manner. 20. Then a spirit came out and stood before the LORD* and said, I shall entice him. And the LORD* said to him, How? 21. And he said, I shall go out and be a lying spirit in the mouth of all his prophets. Matthew 5:33. Again you heard that it was said to the ancients, ‘You will not swear .falsely, (Num. 30:3) and you will keep your oaths to the Lord.’ (Deut. 23:22) 34. But I say to you not to swear at all: neither by heaven, because it is the throne of God, 35. nor by the Earth, because it is His footstool, nor by Jerusalem, because it is a city of the great King, 36. nor by your head may you swear, because you are not able to make one hair white or black. Revelation 22.1. Then the angel showed me a river of water of life, Torah, bright as crystal, going out from the throne of God and the Lamb. (Ezek. 47:1, Jl. 3:18, Zech. 14:8) 2. In the middle of its street, also on each side of the river, is a tree of life making twelve fruit, yielding its fruit each month, and the leaves of the tree are used for the healing of the multitudes. (Gen. 2:9; 3:22, Ezek. 47:12) 3. And there will no longer be anything there that is cursed. And the throne of God and of the Lamb will be in it, and His servants will serve Him 4. and they will see His face, (Ps. 17:15; 42:2) and His name will be upon their foreheads. The Throne will be for both God and the Lamb, so when Y’shua said “the Father and I are One” you know that is true. See John 10:30, Deuteronomy 6:4. 1 Kings 7:7. Then he made a hall for the throne where he could judge, the hall of judgment, and it was covered with cedar from one side of the floor to the other. The Palace of the LORD* also has a Hall for Judging, with the Throne occupied by both God and the Lamb. 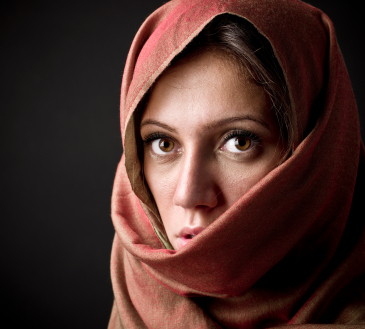 The Widow of Zarephath was a woman who had to know for sure that she had heard from God. 1 Kings 17:8. And the word of the LORD* came to him saying, 9. Get up! Go to Zarephath, which belongs to Sidon and stay there. Behold, I have commanded a widow woman there to sustain you. 10. So he got up and went to Zarephath. And when he came to the entrance of the city, behold, a widow woman was there gathering sticks and he called to her and said, Bring me, I pray you, a little water in a vessel, so I can drink. 11. And as she was going to get it, he called to her and said, Bring me, please, a morsel of bread in your hand. 12. And she said, As the LORD* your God lives, I do not have a cake, but a handful of meal in a jar and a little oil in a cruse and, behold, I am gathering two sticks, so I can go in and prepare it for me and my son, so we can eat it and die. Here is where she must be confident that she heard the LORD*! 1 Kings 17:13. And Elijah said to her, Do not be in awe! Go! Do as you have said, but make me a little cake of it first and bring it to me and afterward make for yourself and for your son, 14. for thus says the LORD* God of Israel, The jar of meal will not empty, neither will the cruse of oil fail, until the day the LORD* sends rain upon the earth. 15. And she went and did according to the word of Elijah and she and he and her house ate for many days. 16. The jar of meal did not empty nor did the cruse of oil fail, according to the word of the LORD*, which He spoke through Elijah. Then something happens that makes her question if she was to really supposed to sustain Elijah. 1 Kings 17:17. And it was after these things that the son of the woman, the mistress of the house, fell sick and his sickness was so severe that there was no breath left in him. 18. And she said to Elijah, What have I to do with you, O you man of God? Have you come to me to call my iniquity to remembrance and to slay my son? 19. And he said to her, Give me your son. And he took him from her bosom, and carried him up into a loft where he stayed, and laid him on his own bed. 20. And he cried to the LORD* and said, LORD* my God, have You also brought evils upon the widow with whom I am staying by slaying her son? 21. And he stretched himself upon the boy three times and cried to the LORD*, and said, LORD* my God, I pray you, let this boy’s life come into him again. 22. And the LORD* heard the voice of Elijah and the life of the boy came into him again and he revived. 23. And Elijah took the boy, and brought him down out of the chamber into the house and delivered him to his mother and Elijah said, See, your son lives. 24. And the woman said to Elijah, Now, by this I know that you are a man of God, that the word of the LORD* in your mouth is truth. The widow is at last firmly confident that she did what the LORD* wanted her to do. She is a Heroine for her obedience. Deborah became a Heroine as the Judge over Israel when she ordered Barak to form an army and fight the army of Jabin’s general Sisera. Judges 4:4. And Deborah, a prophetess, the wife of Lapidot, judged Israel at that time. 5. And she lived under the date palm of Deborah between Ramah and Beit-El in Mount Ephraim, and the children of Israel came up to her for judgment. 6. And she sent and called Barak the son of Abinoam out of Kedesh Naphtali and said to him, Has not the LORD* God of Israel commanded, Go and draw toward Mount Tabor and take with you ten thousand men of the children of Naphtali and of the children of Zebulun? 7. And I shall draw to you Sisera, the captain of Jabin’s army, with his chariots and his multitude to the river Kishon, and I shall deliver him into your hand. 8. And Barak said to her, If you will go with me, then I shall go, but if you will not go with me, I shall not go. 9. And she said, I shall surely go with you, but the journey that you take will not be for your glory, for the LORD* will sell Sisera into the hand of a woman. That woman was Jael, with Deborah’s prophecy right on. I’m interested in the One New Man Bible Companion Vol. II: Commentary & Articles (Paperback), and I was wondering if you offer a discount code for this. Money is tight, but I’d love to have this with my One New Man Bible. I have learned if you don’t even ask, or give others the chance to help, you don’t know. Sorry I couldn’t find coupon word! Please give information on how I can receive your Bible called Revealing Jewish Roots and Power. You sent me this Bible years ago and I would like to receive another one for family member. Thank you for writing. We are happy to have this request. Please call 864-836-4111. Why in Acts 8:16, is the Holy Spirit translated as it, and not He. We believers know that He is the Spirit of the Lord. He is the one who gives us power. Acts 8:16 is one of the few verse from the Greek text that tradition kept the original Greek pronoun. Acts 8:16 was translated from the Greek text, which is neuter. and tradition has kept it there. Other passages were translated from Latin, with masculine pronouns and tradition has kept them in the translations. Thanks so much for your efforts, and for your incredible patience when answering questions. Regarding John 15:2, if the word translated “removes” in your version and “taketh away” in the KJV is indeed the Greek word “airo”, would it not more consistently exemplify the patience and love of the Father by being translated “lifts up” as it is elsewhere in the NT? I have heard that in a real vineyard vines laying on the ground will not bear and are raised up in order to produce fruit. I was studying the Lamentation book and understand there was 66 verses in chapter 3 but notice in the ONM bible, after 3:65 next verse was 3:67. Not sure if this is done on purpose if there is error in numbering ? Thank you for writing. You found a typo; there is no verse 67, so that should be verse 66. No words are missing. Thank you for writing. There is no point in arguing with someone whose mind is already made up. I am convinced the One New Man Bible explanation is correct. For one thing if he knows Aramaic, he also knows that Talitha is a very poor transliteration of Talyetha, but an acceptable transliteration of Talit. Thank you. We are pleased you like this site. Studying Numbers, I discovered Numbers 16 does not go to verse 50 as do other translations? What’s the deal? The reason is the verse numbering in the One New Man Bible is from the Masoretic Hebrew text, while most Christian bibles use the numbers from the Greek or Latin text. All the verses are there, so just read on into chapter 17:1-9. 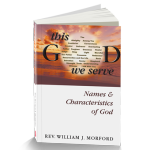 See Chapter and Verse Numbers in Glossary. God bless you. Thanks so much. I’m in Bible Study Fellowship International and I’m so thankful for your translation – only recently came to appreciate our Jewish Roots – am a former member of The Children of God cult where David Berg leaned toward The Replacement Theory. Thank you for writing. The truth of our Jewish heritage really is enlightening and heart-warming. Hi! I have read and watched at youtube of sidroth program… i have learned about this one new man bible… i live in the philippines but seems to have difficulty to buy one coz its not available here. What we have NAB, NJB, KJB, NIV, etc but not one new man bible. I love to read scripture that is faithful to the original manuscripts and what it actually written. How could i purchase? Thanks. One possible way is to get the E-book and read that in your copmuter, but your request is being sent to the publisher who might know how to get the print copy in the PI. That whole verse is a series of questions. hi Bill, im eager to find out the translation of Isa. 43:5. Thank you for your labor of love in this better translation of Yehovas word to us. Thank you for your comments. A partial answer to your request is in the Preface, for more, time will tell. 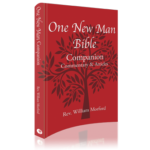 Is the One New Man Bible more accurate than the New American Standard Bible & the Conplete Jewish Bible? Note: This is a relative question, however, a general answer can be provided. Please disregard a repeat of the question. Generally, in comparsion, which Bible version is the most accurate to date, the New American Standard Bible or the Complete Jewish Bible or the One New Man Bible? Note: This is a relative question, however, “in general” which is the most accurate version overalll? Easily, the One New Man Bible is the most accurate, mainly because of Rabbi Ben-Yehuda’s work. He has noted Hebrew words that have rarely been translated properly. These include Ts’dakah, Anochi, Yare, Tevah, and others. As the grandson of the restorer of the Hebrew language, Rabbi Ben-Yehuda PhD, is an amazing scholar who rendered numerous difficult passages. Thanks for asking. Ho is correct, an interjection. I appreciate the One New Man Bible and its Hebrew understanding. Can you bring any clarity on Prov. 8 for me? Is wisdom referring to the Holy Spirit? This is a very good question and relates to Book Order in the Glossary. The proverb definitely speaks to us about the Holy Spirit all the way through the chapter. To Solomon most of the chapter, if not the whole chapter, was intellectual, human wisdom. Thank you for buying the One New Man Bible. The policy on quoting, set by the publisher, is on the back of the title page. If you will be quoting more than 500 words you should email the publisher at info@tppress.com for peermission, less than that with referencing does not need permission. There are eight words italicized in Matt. 5:17, but other that it is literal. Were the people you studied under Christian? If not, they would have lied to you. That is why apostate bibles exist. Either tainted scrolls or teachers corrupt God’s word. No non Christian should be trusted, unless God is using him or her. I will not stress it enough the KJV does not deviate from the originals. All were Christian except Rabbi Ben-Yehuda, who is Jewish and knows Hebrew better than other translators. He was born and brought up in Israel where his grandfather’s life work was writing the Hebrew dictionary that is the most complete in existance. His father actually completed the four volumes of the sixteen the the grandfather had not completed. My quest is for Truth, not tradition, and finding the correct translations of the Hebrew is absolutely essential for understanding Scripture. Because of Rabbi’s help, the One New Man Bible is more accurate than any other English translation. A quick study will prove that the Masorites had altered many verses in reference to our beloved messiah, as well as prophecies… I would hope you investigate these claims… We all want the purest form of Gods word. BUT, on a lighter note, thank you so much for the awesome translation of God’s Word and all the precious time spent bringing out our Hebrew Roots! This a good question, one that is also easy to answer. The Masoretic Text is the oldest complete Hebrew text we have, a text that has been held to the hightest standards by the scribes who copied it down through the centuries. The scribe counted each use of each letter on each line as he copied, checking to verify the correct order of each use. If the scribe made a mistake on the last letter of the last line (or any line) the scroll was destroyed although the scribed may have worked on it for many months. The oldest Masortic scroll still in existance is from the 9th century. This is the best Hebrew text available. I do realize the Masoretic text is the earliest Hebrew text available, but scripture found among the dead sea scrolls match up closer with the Septuagint (200 BC) than with the Masoretic text (900 AD). How can the text be trusted if our new Testament, written in Greek, contains passages taken directly from the Septuagint that are in opposition to the (acclaimed un-altered) Masoretic text? Can the Masoretic be wholly trusted? I’m curious, did you use both the Septuagint and Masoretic texts while translting the Old Testament, or simply the Masoretic texts? If we assign ourselves the position that the Masoretic texts are unblemished, as the Mesoretes claim, we must in turn deny our New testament, because it uses the (“flawed”) Septuagint, seeing as it derives doctrine and prophecy from versus that are not found in the Masoretic texts, or have seem to have been altered. In your eyes, which text holds a more accurate and ancient depiction of God’s word? How can one hav both the septuagint, and also at the same time, look to the masoretic texts? The Mesoretes see the Septuagint as a great sin, as a completely flawed scripture. How can we, as Followers of Messiah, accept their claim? If we do, we in turn deny the New testament revelation of God to Mankind… I could never do this. Where’s the middle ground, if there is any? The Dead Sea Scrolls are the oldest Hebrew scrolls, but are not the complete Hebrew Bible. Ok , I know that, but are they not more ancient than the Masoretic texts? Could you please answer my other questons pleas, the questions regarding the differences seen in NT greek references to the Septuagint compared to the Masoretic text? that are not in the acclaimed “Un-altered” Masoretic Texts. A full explanation would be much appreciated. The dead Sea Scrolls are older than the Masoretic Text, but they are not complete and are not readily available. The Masoretic Text dates from about the 3rd century or earlier, though there are no copies from those years, but the Masoretes were very accurate in their copying, so that the differences from the Dead Sea Scrolls are few and not extensive. Regarding Septuagint reverences in the New Testament Greek, those are few and far between. Some of those quotes claimed to be Septuagint are not. See Memorization in Glossary. It is easy to understand your desire to know the differences, but there are so many that compiling the list would be a daunting task. Very often the tense and mood of the verb is incorrect in tranditional translations and many words are not translated literally, but traditionally. An example is the Priestly Blessing, which is “The LORD will bless you,” not “May the LORD bless you.” Every verb in that is future and the last verse is “The LORD will lift His countenance to you and establish in Shalom.” It is not to give you peace. There are more than 4,300 footnotes and a 137 page Glossary. Mr Morford your translation is the best for me, but im in the philippines, we use our christian bibles ,with its verse and chapter divisions, im not asking you to change the numbering on the masoretic text, u can send me the list of the books with different chapters and verse numbering so that I can write it down and mark it on the onm bible. This too would be daunting task, to go through one traditional Christian translation side by side with the One New Man Bible comparing verse and chapter numbers. The biggest number of differences are Psalms, where the Hebrew uses the preamble as the first verse. Malachi has no 4th chapter in Hebrew, just extending the 3rd chapter. Joel has some changes and there are a few scattered differences, but finding them would be a lot of work. ok thanks! ill just use David Stern’s Complete Jewish bible, to seek out the differences cause He places parenthesis to compare the verses with traditional Christian bibles, im not going to compare you to Him but He really gave the time and effort to do that for the convenience of all. Thank you for asking. The Greek text of verse 17 has ‘they doubted’, not ‘some doubted’. The words missing from verse 19 are explained in the Glossary article, Matthew 28:19. Hi Mr. Morford, how can u tell if nomos is translated as torah or legalism or law, does it have a definite article in greek? or just by context? The translation of Nomos, meaning “that which has been established” is by context. Do not forget tradition as one of the meanings. 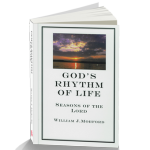 I really enjoyed your section in the glossary titled, “God Incarnate.” God has been revealing similar things to me lately and it has troubled me because many say unless one believes in the doctrine of the trinity, one cant be saved. I was curious, from your studies of the Greek, do you see the “Word/Logos” in John 1:1 as being seperate from the father or the faher himself? Do you believe the scriptures point to a pre-incarnate Son of Man/Son of God? Do you believe the father is incarnate in Y’shua? You’re insight would be much appreciated. Relating the Trinity to salvation, look at Acts 3:19. “Therefore you must immediately repent and you must return to God at once for your sins to be wiped out..” Repentance and turning to God, to Y’shua, is the key, man’s doctrines not withstanding. Logos becomes a mute point when you read John 17:20. “I do not ask concerning them only, but also concerning those who believe in Me because of the disciples’ message, 21. so that all would be one, just as You, Father, are in Me and I in You, that they also would be in Us, so that the world would believe that You sent Me. 22. And I have given them the glory which You have given to Me, so that they would be one just as We are One: 23. I in them and You in Me, so that they would have been brought into unity, so that the world would know that You sent Me and You loved them just as You loved Me.” Your other questions are answered in the Glossary article. Thankyou Very much for the quick reply! I dont know if you’ve researched this at all. I would highly suggest the read. It is very interesting. I havent found one trustworthy english translation of the Eastrn Peshitta yet. I would love to see you work on a translation of the Eastern Peshitta. Well, I hope you find the info at these links interesting. I’d like to know your opinion as well. Thank you for your comments and for this lengthy explanation of the Peshitta. However, I disagree with that conclusion. The synoptic Gospels were almost certainly written in Hebrew, then quickly translated into Greek to reach the Roman Empire outside Israel. There really is no evidence that any of the New Testament was originally written in Aramaic. The oldest Peshitta did not have the books of 2 Peter, 2 & 3 John, Jude, and Revelation, so if the Eastern Peshitta has those books it is not original. The Peshitta was written in Syriac, not Aramaic. There is also and Old Syriac, which was probably translated from the Greek by 200 BC, but it contained only the Gospels. The website you recommended is interesting, but obviously did not change my mind, no matter how good the Aramaic text is. There is also a supposedly original Hebrew book of Matthew that many like because of the very good Hebrew and Hebraic idioms, but that contains verses and other passages that are known to have been added in the fifth century, so it cannot be original. So far, the Greek New Testament is best we have. could it be possible that you can translate and replace the word hell to sheol in the old testament? Yes! The word most commonly translated ‘hell’ is sheol, so simply not translating sheol would work for you. Mr. Morford will the update to the kindle version be this year? is it soon? The Greek text has “katalumati” which means inn or lodging place. Guest room is not an appropriate translation. Ivan, there are a number of word books that are not accurate, so be careful to use only lexicons that have high approval, like New Thayer and Bauer, Arndt & Gingrich. ahh ok ,anyways hopefully the kindle version will be fix soon, bec I use ur bible for in depth study, its one of a kind, and also it retains the original words like “Gird your loins ” and etc while most bibles today ,chose to interpret the meaning, I like to interpret it myself through the ancient eastern mind, and the bible simply comes alive! Mr Morford , the word “fan” is misleading, “winnow” is the proper word , they use winnowing forks in those times, its important that we understand the manners, culture, customs of the bible to interpret and translate scriptures. anyways thanks for a great work! Isaiah and Jeremiah both speak of the fan as used in winnowing. You will have to take up the issue with them when you have a chance. My job is to translate what they wrote. After all, fans were used and still are used in primitive societies to facilitate winnowing. Thank you for ointing out this typo. God was speaking so it should be Us. Thank you sir for quick reply. Also in Gen11:7, I guess “us” also God? My name is Etienne Beaurain. I am from South Africa in the province of Mpumalanga in the city Nelspruit, best known for the Kruger National Park. I just bought you translation through Amazon on the internet. The total Price for your Bible comes to about $116.27 US shipping included. I would like to find out if an opportunity is available to order directly from your supplier at a better price and better shipping rates. Most people in South Africa would not be able to afford this remarkable translation and I believe they should be able to. Thank you for being obedient to our Father and allowing us to understand His Word better. Mr. Morford I love your bible! but the problem is the kindle version is bad, u guys have plans to upgrade ur kindle version? we need the table of contents enabled, its really hard to use for bible study, we cant go to certain books, chapters,verses easily, please update ONM bible is my favorite bible! esv version from crossway is a good example, there kindle version is great! Thanks for writing We know the problem and it is being worked on. When completed, the Kindle ONM will be state of the art, but I do not have a firm date on that. Ok thanks Mr. Morford, anyways can u list the books with chapter and verse difference from other christian bibles in the tanakh? the cjb version places it in parenthesis so that we can determined the verse and chapter differences, will u guys implement this also? anyways God bless u all for this marvelous work! Thank you for writing. You have a very good question, so good that I cannot answer it. What I have is taken from a Jewish book with very tight copyright control. The 11th century author is Rashi, but I do not know if his works have been translated from Hebrew into English. Try Google and let me know by email, wjm@thepowernewtestament.com if you succeed. I purchased your One New Man Bible but have been unable to locate the book of St. James. What happened to this important book of the Bible? The book other translations call St. James is named Jacob in both the Greek and Latin texts. In those it is spelled Iacob, which comes into English as Jacob, so where other bibles have the book of St. James the ONM Bible has the book of Jacob. Hello Bill, I just received my ONM Bible and stayed up till 4am jsut randamly reading, WOW what new insight. I have a question. I found that your Hebrew to english translation uses different spelling of english words and some of the meanings realy differ and thats ok. Thank you for your comment, which is a great blessing. The Sephardic Hebrew spoken in Israel, and in which the Bible is written, has no “W” sound. The transliteration charts I have used have no “W” in them, so the correct spelling is Havah. For biblical words a lexicon is needed and the most authoritative is the Brown Driver Briggs Gesenius. The print version is needed because the ones I have seen in online programs are incomplete. 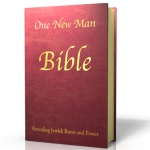 Thank you very much for the One New Man Bible translation! I love your indication stating King Saul reigned only two years, which means David’s season of persecution by Saul was much shorter than I had always presumed. Even some of the scripture seems to contradict itself, stating Saul’s son to be 40 years old when King Saul died after battle. I am having difficulties in understanding exactly how you reached this conclusion, although I am not doubting it in any manner. I am actually quite delighted in it. My research on David always indicates him being a very young youth when he fought Goliath. Would you help me understand this? I am hopeful and overjoyed in this revelation, yet I cannot “connect all the dots”! Those ages are very clear in 1 Samuel and 2 Samuel, with 1 Sam. 13:1 stating “In the first year of Saul’s reign, after he became king, and he reigned two years over Israel.” David was 30 when he bagan to reign in Hebron, 2 Sam. 5:4. Since Saul reigned for two years (we don’t know the exact dates) and David was 30 when he began to reign, he could not have been less than 27 when he fought Goliath. The myth of his being a child probably comes from the first English translations which were made from the Latin text which which uses the word puer in 1 Sam. 17:33 in describing David. The Latin word means boy, child, or servant. The Hebrew word in that verse means young man and can refer to late teens or twenties. It is used several times for men in the army. There is no contradiction when Ish Bosheth is described as 40 years old soon after Saul’s death. Saul’s age is never given, but he obviously had grown children. Hopefully, this will clear up the contradiction for you. Nowhere does the text say David was quite young. If you still have questions, keep writing and I will try to clear things up. Thank you very much for your time. I will go over all these things and I appreciate your offer to help if I have further questions! Are there any plans to publish a pocket version? Thank you for the website. I do enjoy the commenting. 🙂 It is one way to know if there are still brothers out there in this lonely becoming world, even though I’m still young of age, in comparison, for me being only of 29.5 years of age. I still have a hunger for more truths and therefor want to order 2 ONM-Bibles. I did e-mail the publisher but since the flock has become smaller and the pack bigger I have come to the conclusion that you are the only one to make it possible for me to receive one. I am willing to pay $500 for 2 ONM-Bibles with the necessary air courier included to Johannesburg, South Africa. I’m sorry to hear of your problem, so I called the publisher. The publisher will be in touch with you shortly to expedite the shipment. Due to the time difference it will more likely be Monday when you hear because it is now 4 PM here on Friday afternoon, which is probably after midnight in Johannesburg. I did not say that I had a problem. I cannot take the risk of paying and never receiving my order. I hope you will make a plan getting the ONM Bible in our many christian bookshops in South Africa like Cumbooks and Gospeldirect. Thanks for your politeniss, please read my first comment again if you understand what has happened over the last year or more. 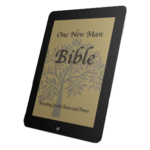 We are the publisher of the One New Man Bible. 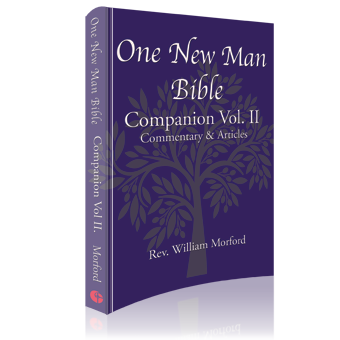 Please check your e-mail (December 4) for our instructions regarding receiving the One New Man Bible in time for Christmas. The message may have ended up in your SPAM folder. We sent the message again today. Thanks again for your interest. The One New Man Bible is an excellent holiday gift. Question: I have the the power new testament, Do I still need the one new man bible, if so why? Your power N.T. Has opened a whole new chapter for me in understanding His word and Glory. I think you will find in the ONM Bible a whole new opening of a new chapter for understanding His word and glory.